If you are using a walker, you can carry some items with you using a walker basket. Some walkers come with pre-attached baskets, and others don’t have. You can easily find a new basket for your walker on the market. When buying a basket for walker, choose one that is large enough to carry things. 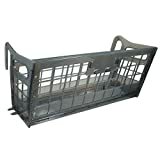 You can get the best walker baskets from Dive Medical, Medline, or Nova brands. When buying a basket for your walker, function and what you want to carry will play a significant role in deciding on what kind of basket you will buy. Naturally, most people will choose a high-quality basket. Things that you will bring when using the walker should be the first factor to consider when buying a walker basket. The senior people, who want to carry heavier items, should find a large and sturdy basket that can accommodate the things they want to take. For example, an oxygen tank and other heavier items. If you only need a few items like a book and phone, you can consider a smaller basket which will be easier to walk around with. 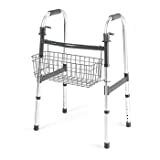 The type of walker you have or you will buy, and its measurements will be essential when purchasing a walker basket. The bariatric or wide walkers may need a wider basket as well. But for the knee walker, you may need a specialized craft. If you are sick and have a condition that may increase the risk of losing consciousness, consider a bag or basket that has a medical alert pouch. If you may have experienced an awful situation of being outside late at night and get confused, you can consider the reflective strips on some bags. Before you buy a basket, look at its warranty and durability. The warranties vary among the brands. If you use a walker regularly, you may need to replace it from time to time. 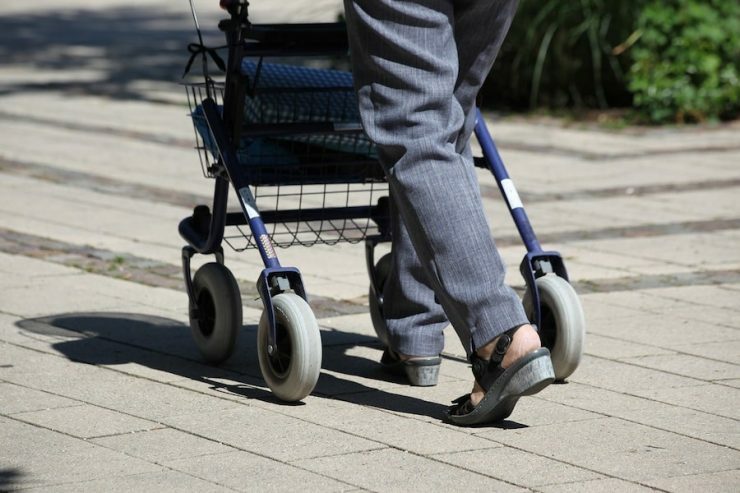 Using a walker with an old basket or other accessories can put you at risk of harming yourself. You may need more privacy especially when you are carrying your medications or credit cards. Yes, a basket is ideal for moving things around and getting them quickly. However, if you need to keep your essential items away from others, you may consider a walker bag and skip a basket. Other than the walker baskets, there are various accessories that you need for your walker. If you already have a walker bag or a walker tray, you may not need to buy an extra walker basket. A lot of big brands of walkers offer walker baskets as well. Some specific walker may only fit some particular basket. Hence, you should always check your instructions of your walker to see if you need to buy a special basket. 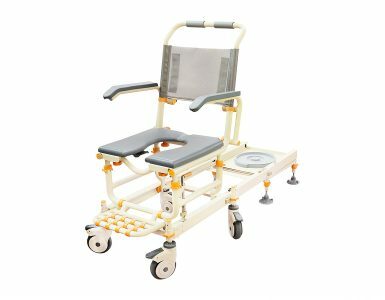 When you are using a walker at home or out, it is essential to have some storage space to carry a few things. This equipment is useful for personal items like some magazines, shopping bag, fruits, umbrella and other vital items for the senior people. 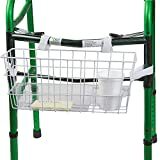 Walker basket is more manageable for seniors to take things out which is better than a walker bag. The following are some of the best walker baskets that you can consider. This basket is one of the best and affordable walker basket on the market. It makes it super easy to move around when using your walker. Made of sturdy metal, this basket is strong and durable. Also, this Drive medical walker basket features a removable plastic tray and cup holder which can keep the small items in place. You don’t have to worry about the juices will not slip through the wires anymore! 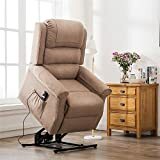 It is ideal to use in nursing homes where the elderly may want to move around with smaller pieces and a drink. The basket can hold bulkier items because it is made of metal. It is easy to clean, durable, and secure. You can remove the cup holder and tray immediately if you don’t need them. • You can attach it to the walker easily. • It is strong enough to carry heavy items. • Used with 1″ folding walkers only. The basket is ideal for the two button walkers. It will help the user to live an active lifestyle. The basket is made of steel with a plastic coat. The coat prevents the basket from rusting. Don’t like a white wire basket; this black basket looks modern and sleek. The basket has a lifetime warranty to be free from workmanship and defects in materials. The warranty does not cover the basket failure because of negligence or misuse or normal wear and tear. It does not need any tools to fix the basket on your walker. 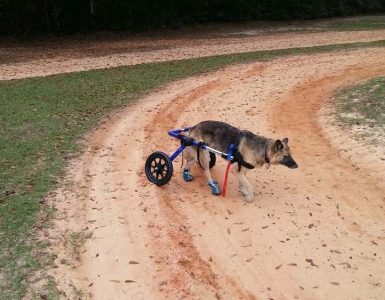 It can fit in different walker makes it quickly, if they have the two front braces. With this basket, you can carry your items when moving around. Ensure that the basket is not overloaded to affect the stability of the walker because it only can hold up to 3 lbs. • The basket is well built and works well. • Weight capacity is only 3 lbs. The HealthSmart universal walker basket is well constructed to help you carry lightweight items when moving around. The same as Drive Medical walker basket, it comes with a plastic tray and cup holder to ensure your food will not spill out. It is easy to install this basket for walker on your walker, no tools are required. What you need to do is strap it on the walker and put in your items. It mounts with a hook and loop attachments on the front of the walker. The walker basket can be used with different two button walkers. It is made of rust-resistant material. Also, this walker basket is lightweight and cannot destabilize the walker. • Comes with a plastic tray inside and a cup holder. This is a perfect accessory for the knee scooter. You can use it to carry or store your valuables perfectly. The basket is designed to fit in most knee walkers like drive medical DV8, knee Rover Go, KneeRover walker, and others. If you have a knee walker, you should buy this one. The wire walker basket is durable and weather resistant. It has an ergonomic handle making it easy to carry around when not using a walker. 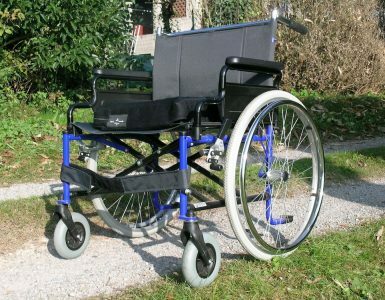 You can mount it securely and easily on a steering column of knee scooter or knee walker. No tool is needed. You can maximize your comfort with the knee Rover basket and other accessories like a cup holder, wheels, phone holder, knee pad covers and others. Use this knee walker basket to bring the items you need when going out. • It is a perfect alternative for a knee scooter crutch. • You can use it to carry your valuables and personal items when moving around the house or outside. • The basket can be detached easily. • It is weather resistant and durable. • The basket is sturdy. • The basket may not stay in place if it is not fixed well. • Specially designed for knee walker. The basket firmly attaches to the horizontal bars of your walker. 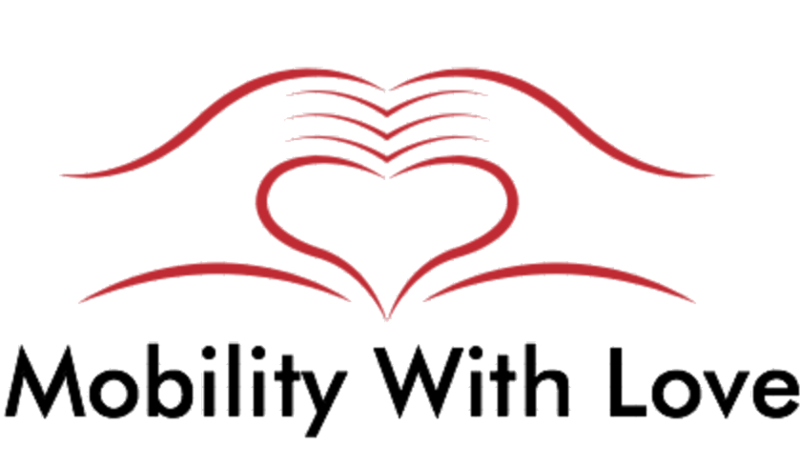 It is flexible with retractable stabilizing arms which lock on the bars of your walker; this helps to prevent the walker from swinging. The built-in tray and cup holder is ideal for items like eyeglasses, pens, utensils, or straws. You can attach it on the outside or inside of the walker. However, it is advised to connect to the lower bar of the walker. It is made of a polypropylene material which is strong and durable. It is a no wire walker basket, and you can install it with a breeze. • Built-in tray and cup holder. • Takes less storage space. • It cannot fit on some walkers such as walker with a bowed crossbar. The basket offers enough storage space for carrying your items or shopping. 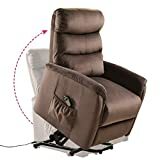 It will make your life easier when moving around. The basket can be attached on the walker easily. It has snap hooks that will lock into the rigid and folding walkers. The basket can be installed inside or outside of the walker. It is coated with gray vinyl that looks modern and is resistant to rust. It can support up to 5lb weight capacity and has a limited lifetime warranty. It is ideal for carrying or storing valuables and other personal items. However, it is a simple walker basket with no cupholder or walker tray in it. You may need to buy an extra walker tray if you need to take water. • The basket is mounted easily using the snap hooks into the rigid and folding walkers. • The vinyl coating is rust resistant and sleek. • You can install the basket inside or outside of the walker. 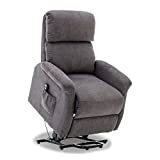 • Can hold up to 5 lbs. • It cannot fit on some walker models. • It has no cup holder for beverages. A walker basket can be a convenience in mobility for individuals with walkers. The baskets will ease your movements around and increase your inspirations to move around which is essential for the elderly. So, consider what you will need to carry around, your medical condition if you have any, and then choose the best basket for your specific walker type and size. If you have never used a walker basket before, you will be amazed at how important they are in your life. Ensure that you buy one that will fit perfectly on the walker. It should be easy to install and have the required space to carry a few items when moving around. The basket should not affect the stability of the walker. Buying a walker basket can help to meet your transport or storage needs. The durability and weight capacity should also be taken into consideration. Buy yourself a basket for walker and then you can carry your items and some valuables, shopping, beverage, and other items that you want to move around with.